A sister chromatid is one half of an identical pair of chromatids formed by the replication of a single chromosome. At certain stages of the cell cycle, these chromatids pair and are held together in a process known as cohesion, which involves the cohesin protein. This typically occurs during DNA replication, and in vertebrates requires the cohesin-associating protein sororin. 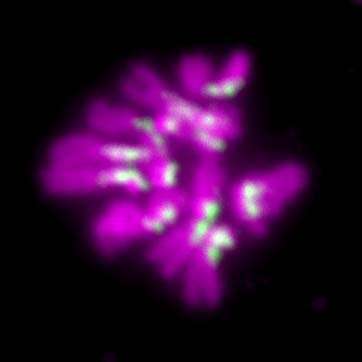 Cohesion is then maintained until the point when chromosomes line up in the middle of the cell. Although cohesin is then removed, cohesion around the region of the chromosome where the two sister chromatids link is protected until slightly later in the cell cycle.